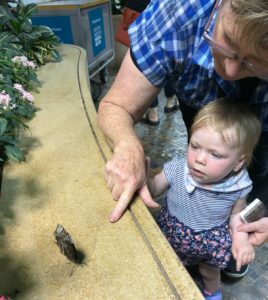 Recently, I introduced my granddaughter to butterflies at the Smithsonian National Museum of Natural History’s butterfly exhibit in Washington, D.C. This Blue Morpho (Morpho peleides), landed right in front of us, giving me the opportunity to show my granddaughter this amazing butterfly. 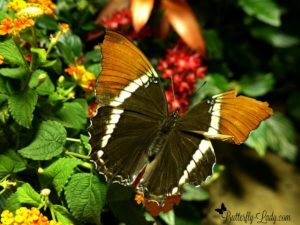 This indoor, tropical oasis offers visitors a rare opportunity to get close to a variety of live butterflies from all over the world. 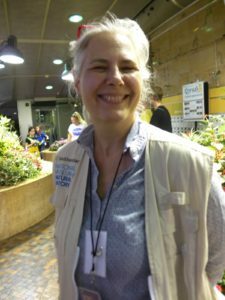 It’s a small exhibit and they limit the number of visitors inside at any one time, providing an up-close and personal experience with the butterflies. 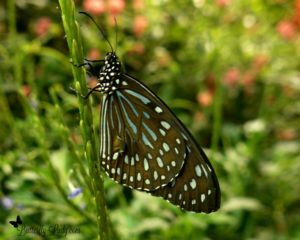 The Dark Blue Tiger (Tirumala septentrionis) is a danaid butterfly found in the Indian subcontinent and Southeast Asia. The Rusty-tipped butterfly (Siporeta epaphus) is found from southern North America to central South America. The Paper Kite or Rice Oaper (Idea leuconoe) has a wingspan of 12 to 14 cm (4.75 to 5.5 inches). It’s a native to Southeast Asia. 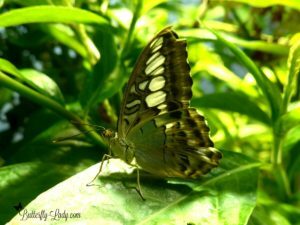 The Clipper (Parthenos sylvia) is found in south and southeast Asia. It’s quite hot and humid inside so be prepared to break out into a sweat. Since many butterflies are attracted to salt, particularly males, one may just land on you to sip the salts from your perspiration. This Paper Kite landed right on my son’s finger. Lighting in the museum is not optimal for great photographs, but it easy to get up close with the butterflies to take photos. 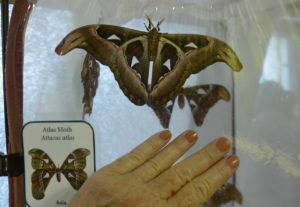 The Atlas Moth (Attacus atlas) is one of the largest species in the world. 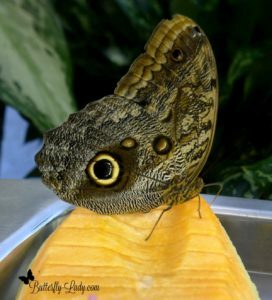 The Forest Giant Owl (Caligo eurilochus) is an owl butterfly ranging from Mexico, through Central America, to the Amazon River basin in South America. 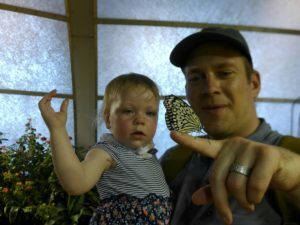 The exhibit has a rather large selection of butterflies. 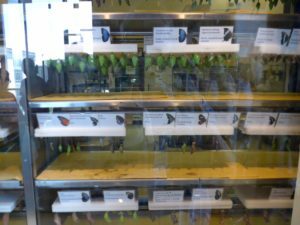 They receive pupa from all over the world and display them so visitors can observe the butterflies as they eclose (emerge) from their chrysalises. Workers are on hand to answer questions and to make sure no butterflies escape when you leave. 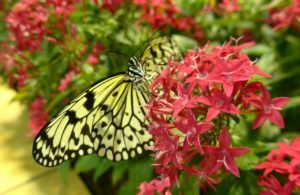 While at the museum, visit the Smithsonian Pollinator Garden to see some of the plants that local native butterflies prefer for nectar (adults) or leaves (caterpillars). If it is the right time of year, you may see butterflies in action. This special garden is located just east of the museum, shown on the map as the green area along 9th street. The Smithsonian’s Pollinator Garden showcases plants, grasses and trees that provide nourishment and shelter to pollinating insects. 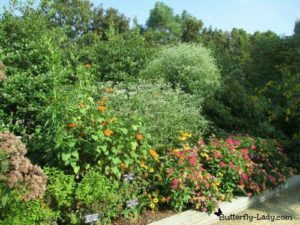 Visitors will enjoy a variety of plant species that attract butterflies and other pollinators. Click Here or on the photo for more information. You can get more information and even schedule your visit and pay for tickets by Clicking Here.